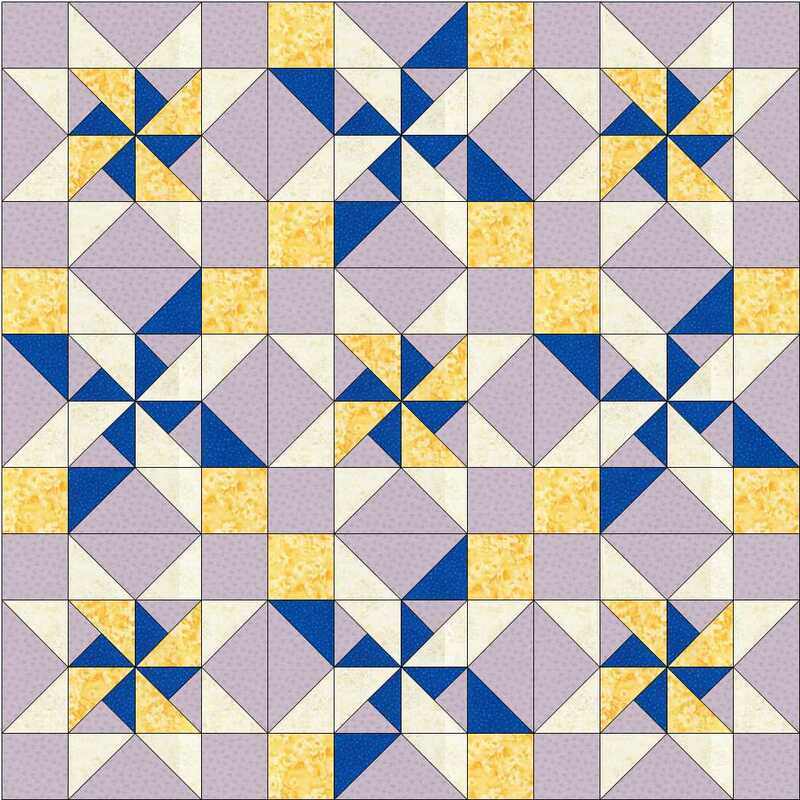 This is another block with the three-triangle unit in the middle of the block giving a pinwheel effect. 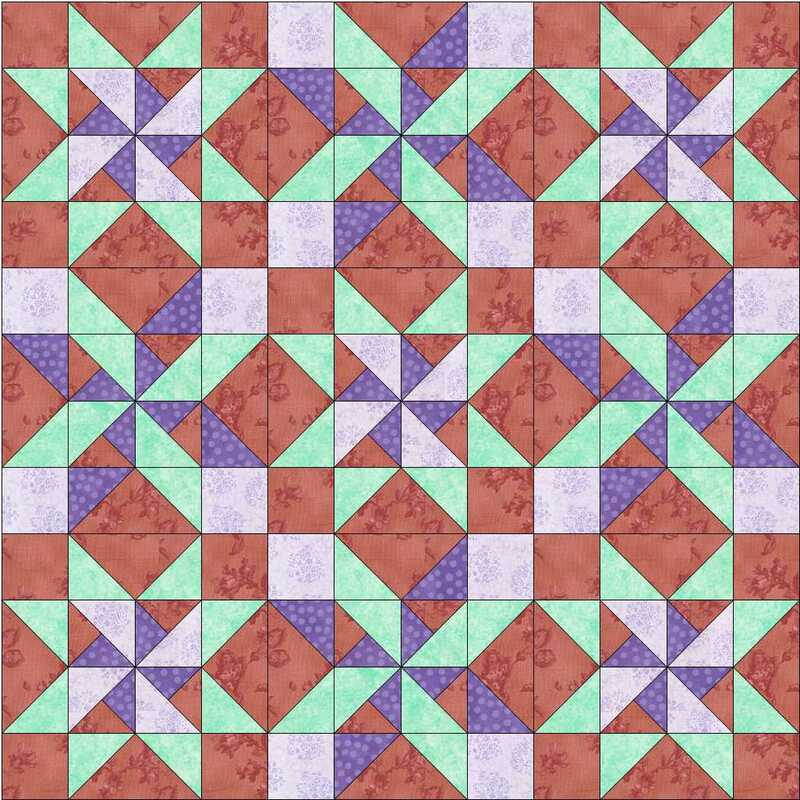 Just four of these units and four big Flying Geese units, together with squares in the corners, make this block with lots of opportunities for changing the look of the block with colour placement. 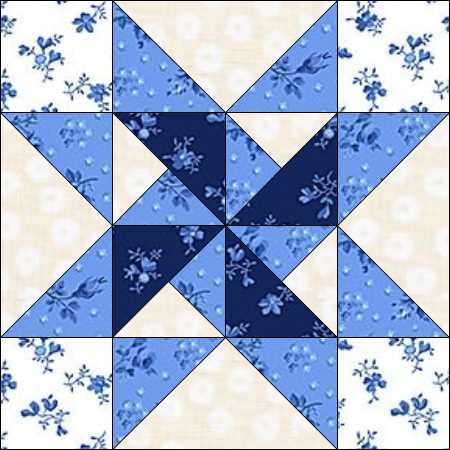 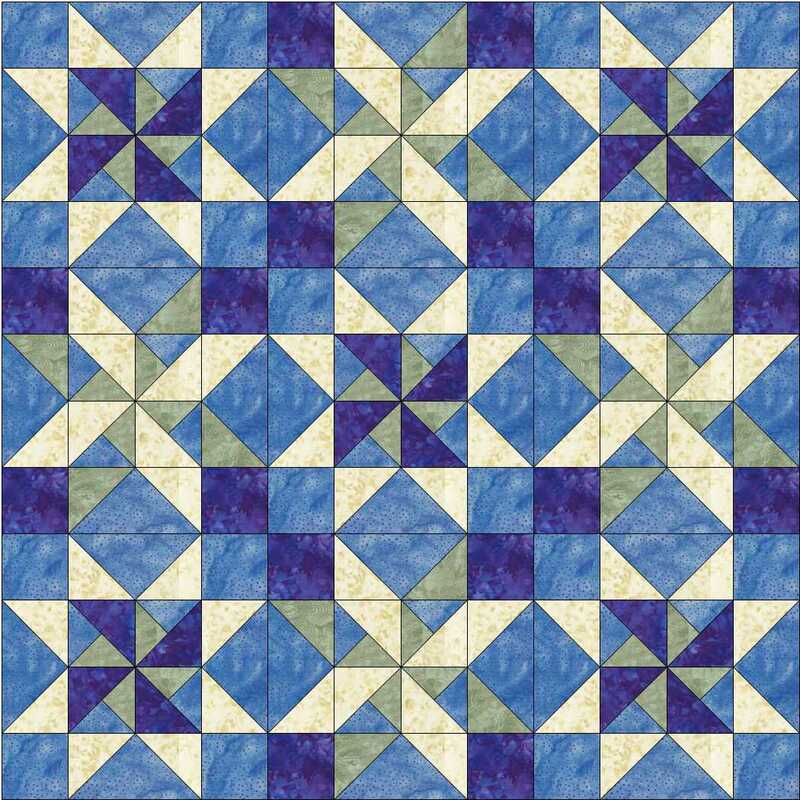 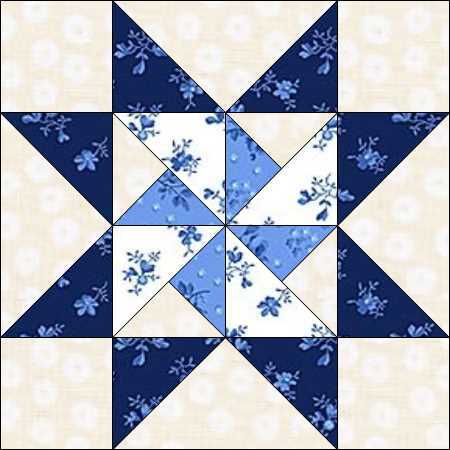 Download the instructions to make the block here, along with ideas for colour and quilt settings. 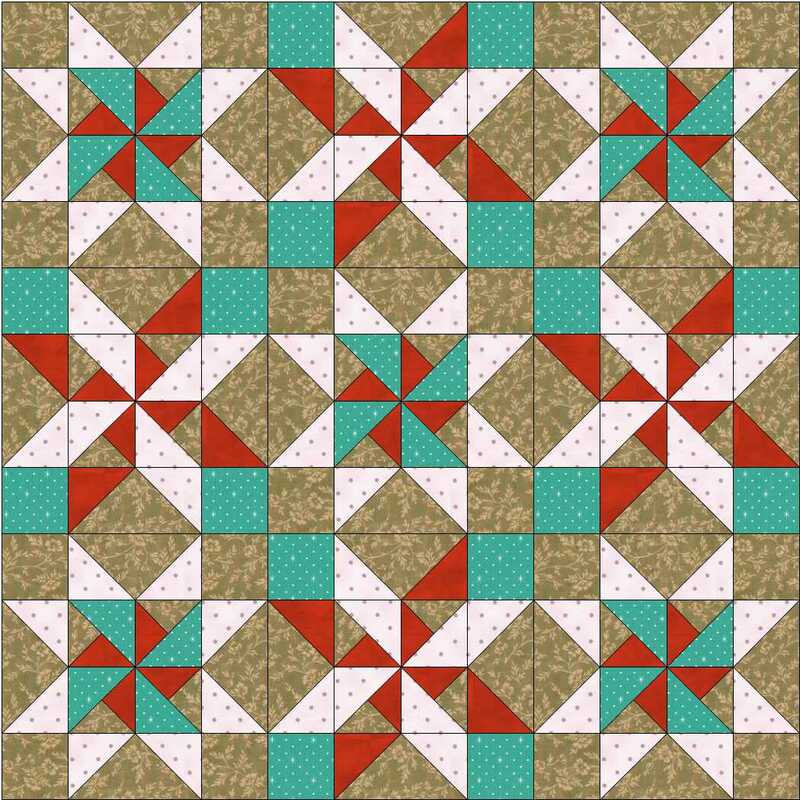 This entry was posted in beginners patchwork, Block of the Month, colour play, Electric Quilt, free pattern, patchwork patterns, sampler quilt, tutorials and tagged beginners' patchwork, block of the month, four-patch block, free pattern, quilt blocks, sampler quilt, simple patchwork on December 1, 2016 by Chris.